Hey everyone!! Last month at my retreat I taught this cute little gift card holder for one of my make & take projects. 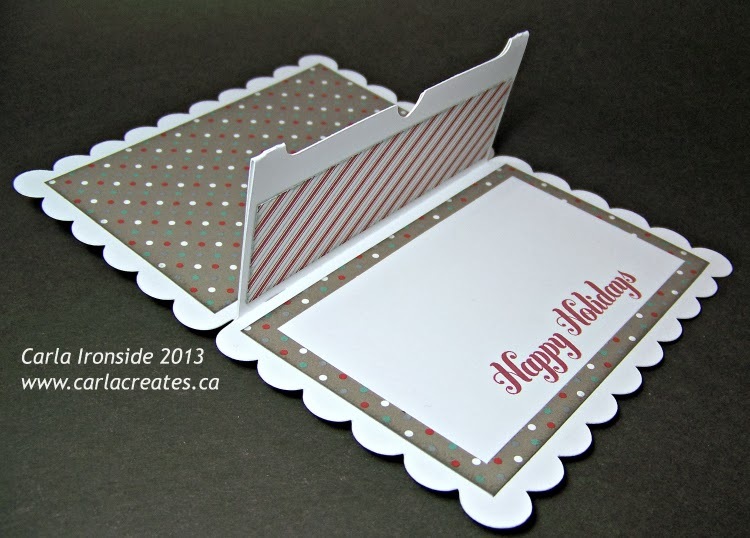 Perfect for Christmas gift card giving! These were so fun & easy to make! 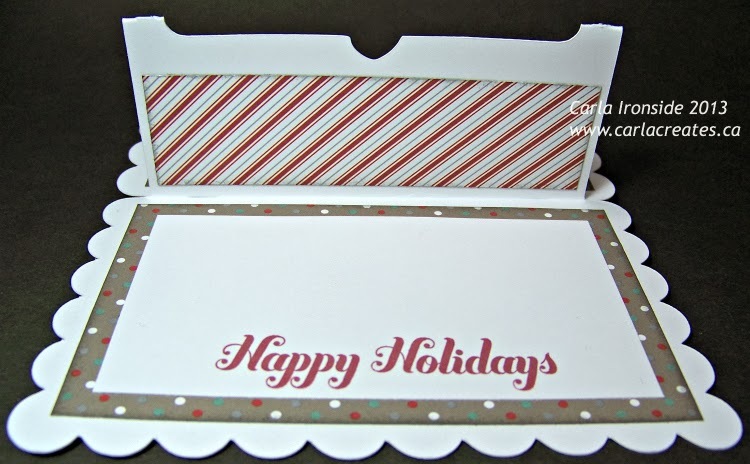 The gift card holder base is cut from the CTMH Artiste Cricut cartridge (page 59, cut at 5.25"). The ornament on the front is also from the Artiste cartridge (page 79). 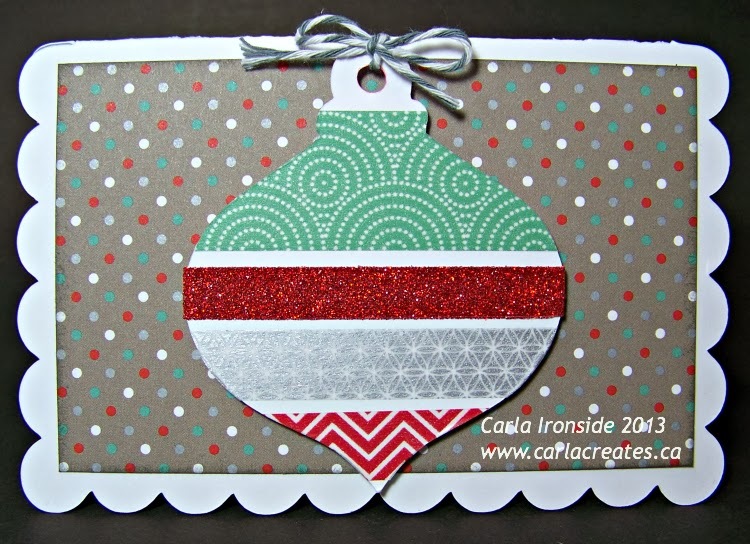 To decorate the ornament, I simply laid strips of washi tape and shimmer tape across the ornament, leaving small strips of white cardstock to show between each row. 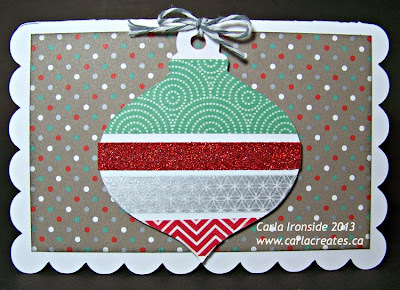 I then flipped the ornament over & trimmed around the edge so that the washi & shimmer tapes were flush with the ornament edges. I also popped up the ornament on the front with foam tape for added dimension. The edges of each patterned paper are inked in slate ink to give it a more finished look. 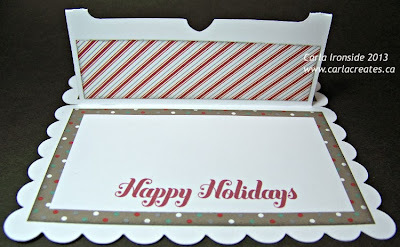 The gift card holder fits perfectly is a standard 4.25" x 5.5" envelope.